There are a lot of different drinks out there… a lot of claims for fat loss, enhanced energy, vitamin boosting and a whole bunch of other lies that isn’t possible in a processed drink. Still, you might be thinking to yourself but Mel, I’m so tired and bored with drinking just water. I drink so much water but sometimes I like to have a little flavor. As a nutrition & weight loss expert I get a lot of questions about Vitamin Water and calorie free drink mixes like Crystal Light. It’s not news that we need to drink water. 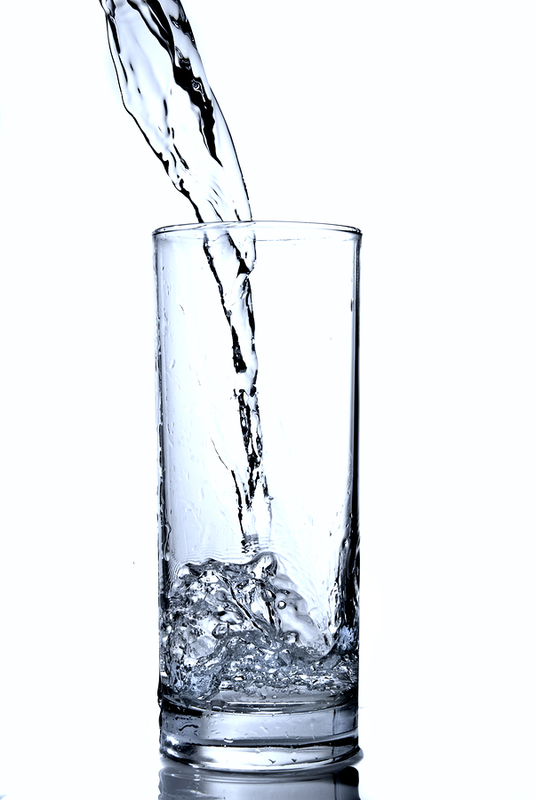 All of us know that we should be drinking on average eight, 8 ounce glasses of filtered water per day… but it doesn’t mean we do it. I’m the first to admit that I enjoy a glass of orange juice occasionally. When I was younger I used to go through a carton of orange juice every other day, it was my thing but now it’s just an occasional treat. Yes, I’m human too! Before I share the recipe for my metabolic boosting drink with you I have a HUGE HOT TIP to get more water in without even realizing it. Yup, a straw. I have no idea why but it’s so much easier to drink water through a straw. You end up drinking more without knowing it. These days you can find the reusable plastic cups with plastic straws just about anywhere. My favourites to use are mason jars with the BPA plastic free lids and straws, even I drink more water when I use one of those! You can get mason jars or any of the other bottles from Walmart, Winners, Canadian Tire and they are all very reasonably priced to fit within any budget. All I ask is that you make sure you buy one that is BPA free, you don’t want any of those nasty chemicals mixing in with your water. The drink I’m sharing with you comes can help you burn an extra 100 calories per day. Add that up over the course of one week and that’s 700 calories burned just from sipping tea. Using a big stock pot boil 8 to 16 cups of water. Let the water come to a boil and add in 10-15 green tea bags (decaf or caffeinated is fine). Remove from heat and let the tea steep for 5 to 7 minutes, longer if you like it stronger. If you doubled the water content then split the water into two pots. For 8 cups of water add in the remaining ingredients (ginger, cayenne and lemon juice). Store the metabolic boosting tea and remaining green tea in glass mason jars. Let cool with lid off. Once cooled store in the fridge. The combination of cayenne pepper, the green tea and caffeine have been shown to increase calories burned through thermogensis (calories used for digestion) by about 4-5% or about 70-100 calories per day. I added in the lemon juice to support the liver and secrete bile to promote bowel regulation (pooping). Too much information? Try drinking this metabolic boosting tea twice a day – once in the morning and once mid afternoon. If caffeine affects you switch to decaf. As the weather gets colder this tea is great to sip on because it will warm you up from the inside. 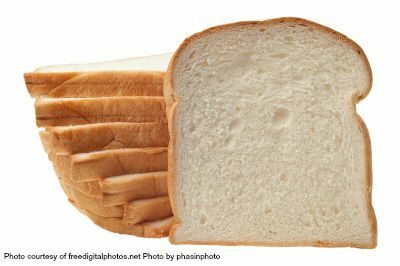 Refined carbohydrates are carbs that have been highly processed leading to their whole-grain being removed. This process also removes the beneficial nutrients such as fiber, vitamins, minerals and healthy fats. When you eat refined carbs, you are giving your body empty calories whereas you should be focusing on eating foods that are going to nourish your body and help it thrive. Carbohydrates and grains which haven’t been processed are known as unrefined or whole grains. They retain all 3 parts of the original kernel – the bran, endosperm and germ and this is where their amazing nutrients live until they get digested in your body! *Oats are gluten-free, but are frequently contaminated with wheat during growing or processing so when looking for GF oats make sure they are certified gluten-free or pure, uncontaminated. Whether you want a sandwich, a wrap or a burger, use a lettuce leaf instead of the bread or bun. Large romaine leaves, bibb, butter or Boston lettuce and even Swiss chard or collard greens work well. Check out my Crockpot Buffalo Chicken Lettuce Wraps at the end of the blog! Love pasta but want to cut back on the carbs, try swapping out the spaghetti for zucchini noodles. You can use a gadget called a spiralizer to make zucchetti (yes, I did make up that word) in seconds, even Sam, my 2 year old can do this! They are inexpensive and you can buy them on line or at most kitchen stores. Spaghetti Squash is another great alternative. I was introduced to sprouted grain bread a few years ago and haven’t looked back. ‘Sprouting is the key to unlocking the whole grain nutrition found inside this protective shell. When a grain is sprouted and begins to grow, it’s waking up from its dormant state to start the hard work of growing. Stored nutrients become readily available as enzymes activate and enzyme inhibitors, which inhibit digestion, are broken down along with phytic acid, an anti-nutrient that inhibits the absorption of nutrients.’ My favourite brand is Silver Hills Bakery and they even offer 2 high quality nutritional gluten-free breads! ½ cup hot cayenne pepper sauce (I used Frank’s) If you don’t like the heat you could sub in a sweet chili sauce or even a tomato based sauce with no heat at all! Instead of bread or tortillas, make your next sandwich or wrap inside a leafy green. Stack 2 or 3 large, leafy greens such as Bibb lettuce, romaine, red lettuce, cabbage, or radicchio and pile on the fixings. Enjoy the added crunch factor. There is no shortage of health and weight loss claims. We are being bombarded by clever marketing from food companies who manipulate the truth so much so that even nutritionists are having a hard time figuring it all out. As a Registered Holistic Nutritionist with 4 years of expertise in whole foods, digestion and weight loss I’m blowing the whistle on the ridiculous claims that even educated nutritionists and health professionals are starting to believe. 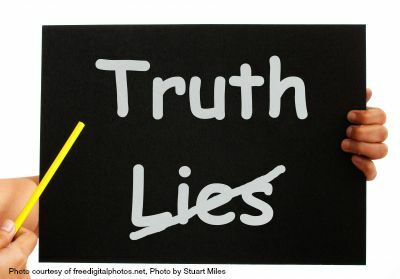 A bit of a warning here… revealing the 5 fattening lies your nutritionist has been telling you is quite controversial and goes against the weight loss and food trends that are dominating grocery store marketing right now. Yes, intermittent fasting is all the rage right now. It assumes that an individual is hormonally balanced enough with stable blood sugars to endure a day long fast. When we sleep our bodies run through a detoxification cycle and require certain vitamins and minerals to finish off the cleanse properly. It’s important for this detox phase to be in a fasted state and to break-the-fast with amino acids (protein), fat and vegetables. If you skip breakfast and fast without taking care that your blood sugar levels are balanced you will experience a crash and crave carbs like never before. When you indulge because you are having a physiological response, no amount of will power will save you. I’m not denying that we should be avoiding wheat and wheat based products. Wheat raises blood sugar levels higher than stable sugar. The popular American staple contains inflammatory properties and a protein called gliadin, which is linked to multiple diseases, symptoms and weight gain. There’s a catch though… gluten-free products are typically processed and devoid of fiber. Potato starch, tapioca starch, rice and corn are all known GMO foods and they raise blood sugar levels because they are pulverized and processed just like wheat. Don’t fool yourself into thinking that just because you remove the gluten means that you will magically shed pounds. Gluten free cereals, breads, cookies, crackers and baked goods are just as horrible for you as the white and wheat ones are. Juicing fruits alone is never a good idea. Would you ever eat 1 orange, 1 apple and 4 strawberries at one time? I don’t think so! This one gets me every time. I love it when nutrition experts say calories don’t matter. Of course they do… calories provide our bodies with energy and there are endless amounts of research that demonstrates that when we consume too much food (calories), regardless of what it is, we gain weight. We also know that when we exercise intensely and don’t consume enough calories to nourish muscle recovery we experience muscle wasting. Although calories don’t tell the whole story, calorie quality is equally if not more important than daily caloric amounts, but we should NOT be ignoring calories. When you combine calorie quality with caloric amounts you have a winning weight loss combination. Let me tell you a secret… lean in close and listen carefully. The only type of diet that will ever work for you long-term is a diet you will enjoy and actually follow. It doesn’t do you any good to follow your best friend’s diet or to take supplements that your co-worker recommended. If you are unhappy with your body, don’t feel as good as you know you can and are worried about the results from your next physical then my advice is to start with just 1 change. I have helped a number of people shed fat and restore their health through food. They have gained back control of their health and life and have been able to maintain their weight long-term. Don’t fool yourself into thinking that overhauling your entire diet and lifestyle and making drastic changes that you know you won’t stick with will work. We both know they won’t. Start with making 1 change and then add another and then another until BAM… you get the body and the health you deserve. Sometimes it can be helpful to have the assistance of a knowledgeable Nutritionist to guide you through the process of reaching your go als. It’s also helpful to have someone help keep you accountable on your journey and help you get back on track when needed. Let me help you reach your goals! Registration is open for my A Healthier You Program. It`s a holistic based, 6 or 12 week weight loss program that focuses on eating real foods – no shakes or pills allowed! Also, back by popular demand is the group program which will be held Mondays at 6pm starting September, 21st. If you would like to find out more, book a 30 minute, no obligation consult with me to see if you are right for this program. Hit reply or email me at melaniegrimerhn@gmail.com. There is limited space available so don’t wait too long! The first 3 people that sign up will receive a free gift bag filled with goodies!